During the liberation struggle Eritrean people not only became the victims of the Ethiopian government but were also killed by the ELF and EPLF. The crimes against the Kunama people which is committed by the PFDJ is not new but has history go back before Idris Awate started the armed struggle. The first Kunama SDO (Senior District Officer) of Barentu. In the 1960s there was a report of the ELF leadership crimes on highlanders. Megesteab (2005: 43) states that fifty Christian peasants were also executed at the behest of the ELF leadership . Another version of this story between 15 and 25 civilians were killed by the ELF in Shimbare, they were killed by vigilante off duty tegadelti of ELF, who were thought to be avenging after their village was burned by Ethiopian soldiers. (Araya 2005). However, the ELF leadership should be blamed for the death of civilians who were killed by the ELF fighters (tegadelti). "The ELF committed genocide crimes against the innocent Christian Tigrigna right from the beginning of the armed struggle. Many villages and properties in Akeleguzay and Seraye such as Qohain were destroyed and looted. Many Christian peasants and traders were murdered in mass only for being Christians. I myself have lost a relative in the mass murder of 49 innocent peasants committed by the ELF in July 1967 in Shimbare, near Tokobya"
Furthermore, according to Human Rights Watch 1991:48, in 1971, 52 civilian villagers were burned to death in their huts in a village name Debre Sila by the ELF for non-payment of the ELF demands (Human Rights Watch1991:48). There was also another story on March7, 1971, the ELF plundered the village of Halib Menal, stealing many cattle, after the villagers had killed two ELF fighters while resisting an ELF attempt to occupy the village two day before. Individuals who failed to protect ELF property entrusted to them were also summarily executed. There was a similar story about the atrocity against Ato Haile by the ELF at Wutuh in Summer (kiremti) 1971. 2 Hagos Ibrahim was known as wdi Ibrahim Nur, the owner of a shop in Adikehi. 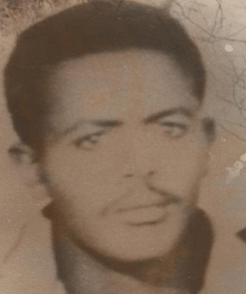 Tewelde Beyne: he was taken for « a short questioning » by the security apparatus of the EPLF in Keren, Eritrea, in August 1978. Ethiopian government but also victims of the ELF and EPLF. There are many stories about crimes committed against the civilians by both fronts (ELF and EPLF). Unfortunately many stories are not recorded apart from a few reported by Human Rights Watch 1991; Megesteab 2005; Yonas Aray 2005; Teklay Aden 1980; Freweini Ghebresadick 1999; Alem Tesfay 2004. Former revolutionary leaders who are serving in the Eritrean government or in the Oppostion leaders were also collaborated indirectly with the enemy in committing crimes against the Eritrean people, evidence of this can be seen below. Despite the Ethiopia army killed many civilians from Arafali, Atshoma, Ona etc. and burnred their villages between 1967 and the early 1970s, Issays held secret talks with the CIA in order to eliminate the ELF which he achieved in 1981. Regarding his secret meeting with the CIA, Amar(2004) states that Wodi Giorg , who was at the meeting with Issays and Col. Mamuzer Copland on 2 Jun 1981ly 1970(note), had an interview with the local press in Addis which appeared in an Amharic newspaper called "Senay", volume 1 number 3 of February 1993. A short while later, Wodi Giorgio was shot dead in front of his Addis Ababa house in order to keep the meeting secret. Weldemariam Abraham also added that Asrate Kassa had wanted to get rid of Haile Selassie and wanted a military wing of his own. He did not trust the Ethiopian military and wanted his own secret army started by Isayas who was entrusted by the Americans and Israel, to Eritrean front. And in the other hand bring chaos in the Eritrean struggle, bringing animosity between Christians and Muslims, and in regionalism. Excrept from Responses to He And His Objectives February 13, 2012 by Awate Team [http://awate.com/he-and-his-objectives/#comments] Mahmud Mohammed says Thanks Awate! the darkest side of our struggle history must be revealed regardless of who committed what but it is very crucial to teach our kids about their history. History should not be distorted or inclined but the truth must be said on heaven's fall. Esyas is not the only criminal we have had however there are many hidden criminals who slept on Eritrean blood. Some have committed mistakes without knowing or forced to do by their superiors, some have joined the struggle for personal interest and as servants of the foreigners, some were deeply mislead by their bigoted commanders who were motivated by regional and religious points of view. However, there must be a balance between the incidents happened and the golden age lost in serving Eritrea and Eritreans. We have to look on the positive sides too! The author also appeals to all former members of the ELF and EPLF who survived the war to tell the public the truth about the ELF and EPLF leadership’s crimes against civilians.